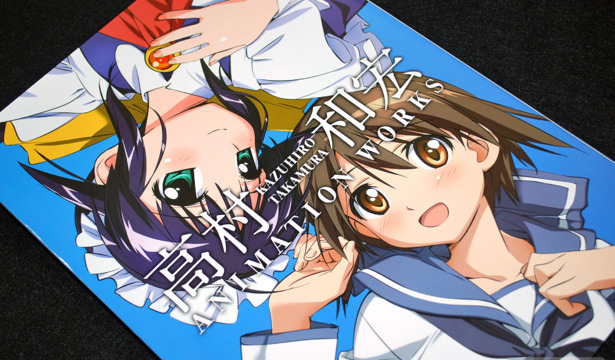 Kazuhiro Takamura is an animation artist who has been the character designer for shows such as Mahoromatic, Strike Witches, This Ugly Yet Beautiful World, Binbou Shimai Monogatari, and He is My Master. But that doesn't even begin to cover the number of series he's been a part of as an animator or an animation director and rest assured, Kazuhiro Takamura ANIMATION WORKS beautifully brings together a multitude of anime series all in one book. 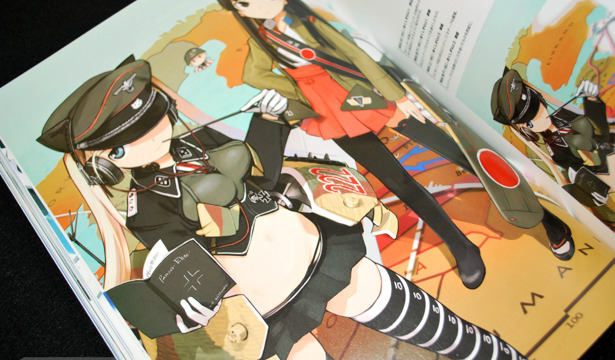 After Strike Witches finished airing in September 2008, Shimada Humikane Art Works was released, in October 2008. Shimada Humikane is the original designer for the Strike Witches and also the father of that term Mecha Musume, describing the cute anthropomorphism of weapons like guns, tanks, and fighter planes.